The skin is a good indicator of our health. 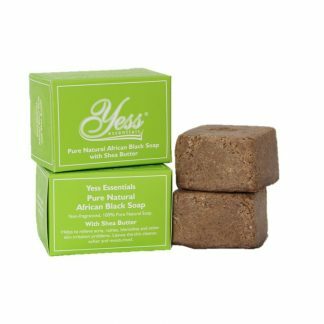 At Yess Essentials, we combine the richness of the West African heritage (The Raw African Black Soap) with the best natural ingredients around the globe to bring out the goodness of nature in skin care. 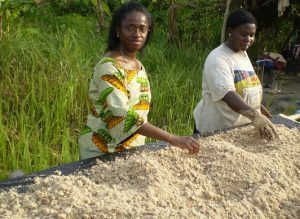 The Authentic African Black Soap (100% natural organically derived raw black soap from Ghana), is handmade from naturally sourced potash obtained from cocoa pod husk ash and unrefined palm kernel oil. The recipe has been passed down from generation to generation. The black soap has no animal fats, preservatives, colour enhancers, chemical and fragrances, and can be recommended for the most sensitive skins, young children and older more delicate skins with no adverse effects. 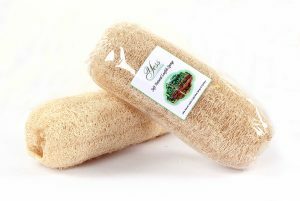 African black soap is a mild soft soap with effective deep cleansing properties used in its pure form by the indigenous West Africans, to relieve acne, rashes, scalp irritations, clear blemishes and other skin problems. Traditionally it is used to give babies their first bath, this is known to prevent body odour and future skin irritations. 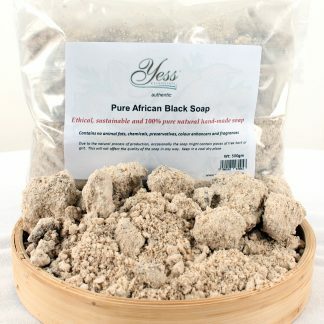 The raw African black soap is the heart of Yess Essentials unique range of products, “natural beauty from the roots”. 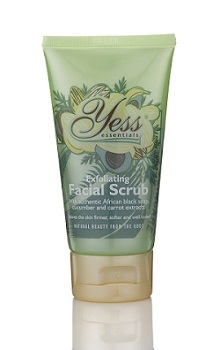 Our natural 2-in-1 cleanser and scrub, Exfoliating Facial Scrub with African Black Soap, made from raw African black soap, carrot and cucumber extract, is an excellent natural scrub and cleanser that remove all the grime and surface dead cells that can block the pores and lead to spots, acne and blackheads. 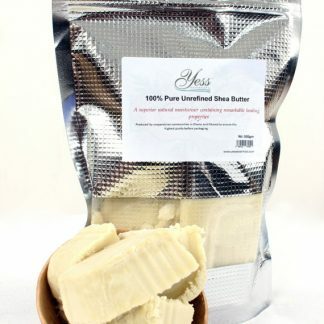 Our Pure Natural African Black Soap with Shea Butter, is a non-fragrance, 100% natural organically derived hand-made bar soap, made with raw African Black Soap and unrefined Shea Butter. The black soap bar is an excellent body care product to help relieve acne, eczema, rashes, blemishes, psoriasis scalp irritations and other skin irritation problems. 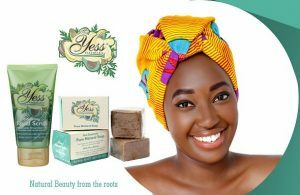 All Yess Essentials products are environmentally safe, non-animal tested, paraffin and petroleum jelly free, sodium lauryl sulphate free, paraben free, colouring free and artificial fragrance-free. All the products have been tested and complied with EU law for cosmetics and toiletries.